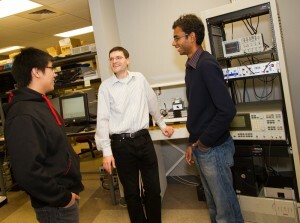 Michael Goryll (center) with electrical engineering doctoral students. Quality and innovative instruction is one of the top priorities of the Ira A. Fulton Schools of Engineering. We recognize excellence in instruction by awarding an annual Teaching Excellence Award and through selection to our Top 5% Teachers List. Students nominations and feedback are reviewed by a faculty committee in determining these honors. 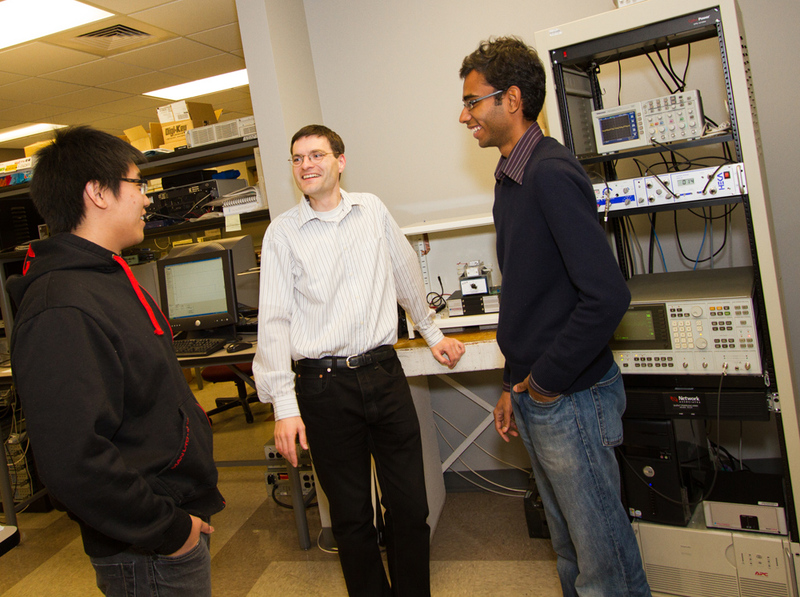 This year’s recipient of the Teaching Excellence Award is Michael Goryll, assistant professor in the School of Electrical, Computer and Energy Engineering. About the Teaching Excellence Award: The process starts with nominations by our students. The nominations are reviewed by a faculty committee, which then makes a recommendation to the Dean’s Office. The award comes with a plaque and $1,000 in the form of a stipend or a bookstore gift certificate. About the Top 5% List: Each year the Ira A. Fulton Schools of Engineering recognizes excellence in instruction through selection of faculty to its annual Top 5% Teachers list. This list is generated based on consideration of student feedback for all engineering instructors and courses.